I forgot to put a reference on my rent payment, is this a problem? I'm having trouble paying my rent, what should I do? What do I do if there is a leak in my home? Where are you building new homes? Can I rent a home from you? Probably! We have a number of different types of homes available for rent, mostly in north and west Dublin. 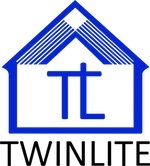 You can get in touch by sending an email to support@twinlite.com or using the contact form on this site and someone will get back to you.